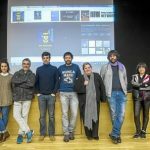 The research group EMAN from the University of the Basque Country, Donostia / San Sebastián 2016 Foundation and EITB, present the documentary “TIRABIRAK”. The documentary to be released on Thursday, March 1 2018 on ETB2, at 23:40, and next Monday, March 5, at 22:30, at ETB1, contains interviews with relevant cartoonist and a good amount of the best strips. 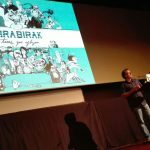 The 32-minute documentary traces the Basque conflict between 1977 and 2016 through the cartoons published in the newspapers. 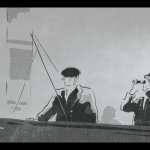 The documentary that premieres now includes the voices of cartoonists as well known as Peridis, Zaldieroa, Axpi, Jon Zabaleta or Gallego & Rey and the opinions of many other analysts and scholars. In addition to a very important number of strips published in the daily papers. In addition to the television documentary “TIRABIRAK / Political conflict and cartoons “, the project of the same name has been unfolded through other media outlets such as the itinerant exhibition, the digital archive, the interactive documentary or the book published last year. By the UPV / EHU. For more information about the project “TIRABIRAK / Political conflict and cartoons ” consult: www.tirabirak. eus.